You are here: Home » About » Experts who? Professor Stephen Mayson has over 30 years experience as a strategist, independent legal thought leader and advocate for social and organisational fairness. He helps organisations make difficult decisions in times of structural or industry change. Famed for his unique perspective and sense of justice, Stephen is valued most of all for his ability to guide his clients in the right direction. His overall objective is to bring independence, insight, challenge and objectivity to the various contributions he makes to organisations and the broader world of legal services. These include: advisory, non-executive, policy, conferences and commentary, and coach. Stephen works as both a retained and ad hoc strategic advisor for organisations in or connected to the legal sector. Clients include law firms, barristers’ chambers, patent and trademark attorneys, other providers of legal services (including licensed ABSs), corporate and government legal departments, regulators, and professional bodies. He is director of the Legal Services Institute, an independent public interest think-tank. Stephen’s role is to monitor developments in the legal services market and engage with government, regulators, professional bodies, practitioners and others. 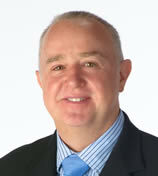 Christian Lister was appointed the UK Affiliate to the International Small Business Congress (ISBC) in February 2011. He is presently Vice President Europe ISBC. He co-founded X-Press Legal Services in 1998 and co-founded X-Press Legal Services Franchising in 2005, recognised as the fastest growing white collar franchise in 2006, Coutts Bank Regional Family Business of the Year Finalists 2007 and BFA Franchisor of the Year Finalists 2009 and 2010. Christian is Chairman of The Association of Independent Personal Search Agents and International Director of The Genesis Initiative. He is a Genesis Senate Representative at the Bank of England and a member of the HRH Prince Michael of Kent Genesis Patrons Senate. 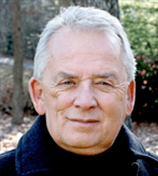 Richard Burcher is a member of the only global specialist pricing organisation, the Professional Pricing Society (USA). He is a former 30-year practicing lawyer, Notary Public and managing partner, based in London and working internationally. Richard provides a variety of legal profession pricing consultancy advice and implementation services including: Pricing diagnostic reports; Pricing master-class workshops; Pricing advice for General Counsel & legal departments; Pitches, tenders, RFPs and procurement; Fixed fee programs & AFAs; Large firm major pricing projects; Pricing related legal project management; Pricing surveys, research and analytics; Pricing opinions, fee dispute mediation & expert witness services; Thought leadership & commentary. Richard’s work on pricing legal services has been extensively published in numerous national and international publications. 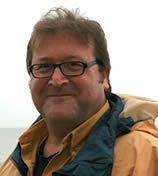 Nick Beddows boasts an impressive 30 years plus in the creative media and learning development environments. In his most recent venture, Arcobaleno Media, Nick leads the team as Creative Director providing media design for professionals, from individuals to local authorities. Nick works by listening carefully to you, the client, to ensure that he and his team produce the most cost effective media that delivers exactly what you want and need, whether that’s a modern looking website, a marketing campaign, online training packages, videos on Youtube, creating a social media presence or media training and presentation. Nick was a producer at the BBC before co-founding the media unit at The College of Law. He brings this wealth of media experience together with a strong working knowledge of the legal services industry to provide a unique professional media service. For over 45 years Dr Gary Russell has tirelessly worked and researched to achieve his lifelong goal of “Lifting people beyond their vision of capability.” Whether with adults, small companies or major corporations, he has proven himself the premier expert in the development of people. Gary has achieved this by focusing on individuals’ strengths and talents to maximize their own performance and productivity as well as those with whom they interact. Gary has spent the last four decades running North American Sports Camps, the world’s largest sports camp company, and played a key role in the expansion of soccer in America. He has worked with the First Lady Nancy Reagan’s “Just Say No” Foundation, Disney, the National Football League, Major League Soccer, the Premier Leagues of both England and Northern Ireland, and with several sports legends, including Pelé, golfer Jack Nicklaus, and football greats Steve Young and Bill Walsh. Gary is also the founder of The Focus Group, which created many of the communication, behavioural, talent and strengths concepts and formulas administered by Winning Profile today. Gary works alongside Sir Clive Woodward at Winning Profile. Sir Clive has achieved great success in nearly every facet of the athletic world. After years of success on the rugby field, Sir Clive tried his hand at coaching, taking what had become a relatively defunct English Rugby program and turning the team into World Champions once again. He has been honoured numerous times for his achievements, most notably being knighted and recently named Director of Elite Performance for the British Olympic Association. Richard Day has 25 years experience in the branding & communications industry and is Creative Director at Onstate one of the UK’s leading brand communications consultancies. 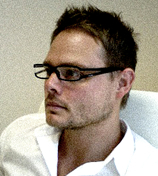 Chris Marshall, with 18 years experience in e-commerce and online marketing works alongside Richard and is Director of e-commerce. Together they have created brands, built online businesses, devised marketing strategies, designed websites, produced marketing collateral and much more. Their combined past experiences include working on design, creative, branding, web, online marketing and e-commerce with leading brands and success stories the likes of T-mobile, Vodaphone, Sky Sports, Republic, Fila, Adidas, Audi, i-to-i travel and BT. Together Richard and Chris continue to work with a series of international organisations, national companies, regional businesses and individuals. Recently, they have been in demand to develop personal branding as well as corporate brand identity and online communications for small start-ups to big multi-nationals. 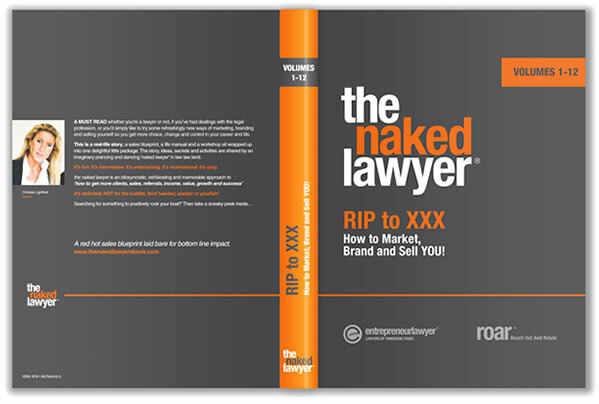 Clients include Panacea, a range of television stars, sports personalities and professionals (including lawyers). 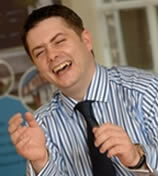 In 2009 Chris was awarded ‘ Best Use Of Digital Marketing’ by the Institute of Direct Marketing. They never fail to get excited about what good design and brand development can do for an individual or a business, however large or small it is. 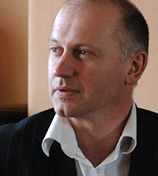 David Clarkson has 25 years experience in the communication industry. His corporate work is mainly at Boardroom level, acting as an advisor and working with the management teams to underpin strategies and their key business objectives. Through creative vision workshops and planning days, David has re-defined many organisations, given clarity to their messages, and identified the most effective audiences for companies to communicate with. For the past 6 years he has brought all of his experience into developing coaching programmes which have brought confidence, effective communication, and business development skills to management teams in both public and private sector organisations. 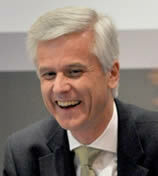 David’s clients include Armstrong Watson, Andrew Jackson, Stephen Mayson and UK Business Ambassador Lord Digby Jones. He is also an active member of the Prince’s Trust Yorkshire & Humberside Regional Development Committee and a Board Director of the Asian Business Development Network (ABDN). Greenbank ia a global consultancy which delivers creative, stimulating, training and coaching for professional services firms in leadership and sales development. Greenbank’s products and services focus on performance improvement. We are presently working together on a joined-up project to deliver measurable results for both individuals and the firm itself (globally) through an improved technologically robust sales training course in the form of The ROAR Experience Sales Programme. Ian is Greenbank’s CEO and leads the work they do on Sales Skills Development – he has 25 years sales and CRM experience and was Head of Global Sales Operations for Reuters. He now works globally with blue chip clients to develop their own approach to sales success. Many of his programmes have achieved measurable ROI within just a few weeks of starting. He is also a lively, high impact conference speaker. Judith is Greenbank’s founder and head of their Leadership Development practice. She has a psychology background and 25 years of training experience. Judith is brilliant at both designing creative programmes and delivering them with humour, depth and real insight. She is also an experienced executive coach and works extensively with business schools both in the UK and internationally. If you would like an informal chat to discuss how EntrepreneurLawyer experts can help you achieve your sales development vision, goal or objectives simply get in touch.